Home » breast cancer awareness » Turning the World Pink! 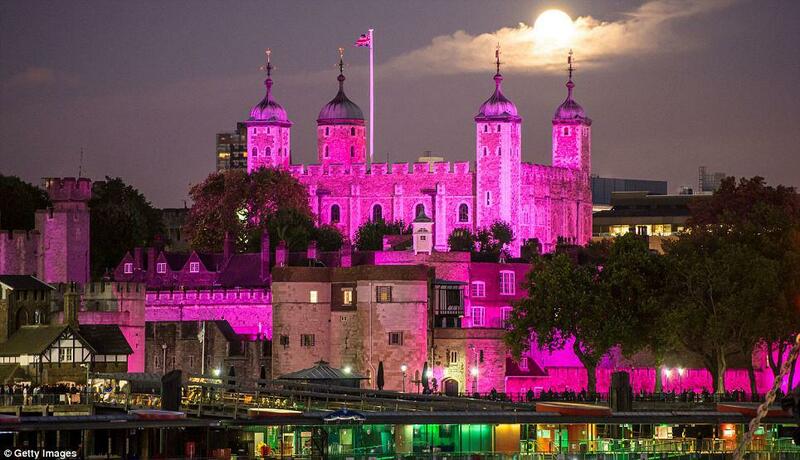 The Tower of London, Buckingham Palace, Nelson's Column and BT Tower are among London landmarks bathed in pink for breast cancer awareness. Even Tokyo Tower, Tokyo Sky Tree and the Empire State Building glowed with a rosy hue for the event which lasts through the month of October. Campaigners want to raise awareness of the disease that still kills 12,000 women in the UK every year. In Portugal the rate is of 4 women a day. The main point is that throughout October, everyone can do something to help: from wearing it, buying it, turning it or painting it pink, through to encouraging friends and family to be more aware of the signs and symptoms - every action will help move us closer to curing the disease. Check the Mail Online for more information and incredible shots or one of these links for more information about the diasease: Pink Ribbon or Liga Portuguesa Contra o Cancro. You have read this article breast cancer awareness with the title Turning the World Pink!. You can bookmark this page URL http://catolink4.blogspot.com/2012/10/turning-world-pink.html. Thanks! No comment for "Turning the World Pink!"